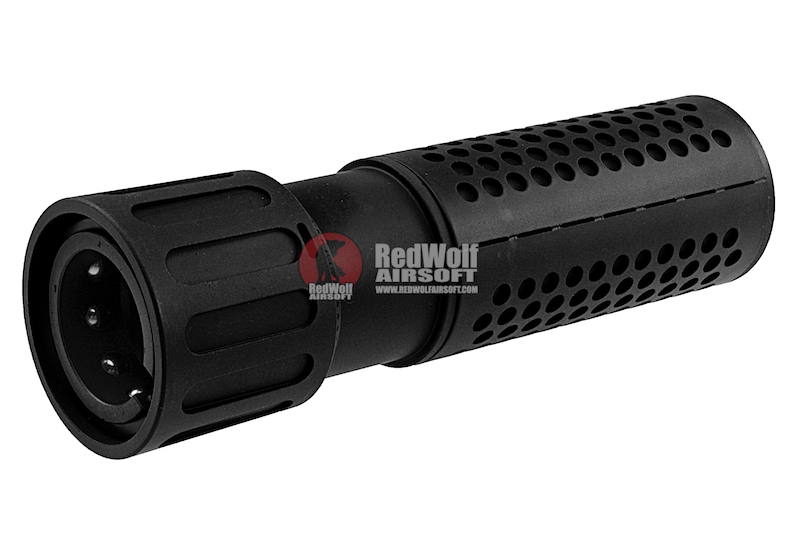 ARES AR-SOC, SR-011, SR-012 AEGs. 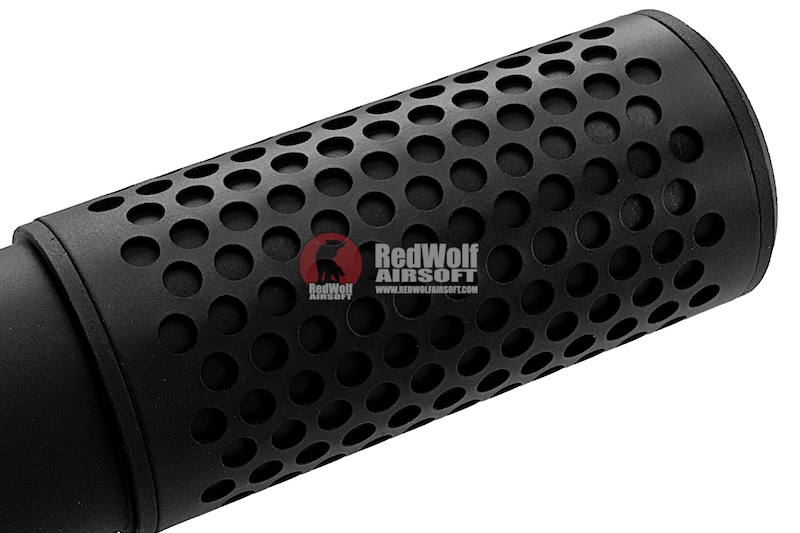 The ARES M110K silencer is a mock silencer/suppressor for the ARES SOC-AR, SR-011, and SR-012 aegs. 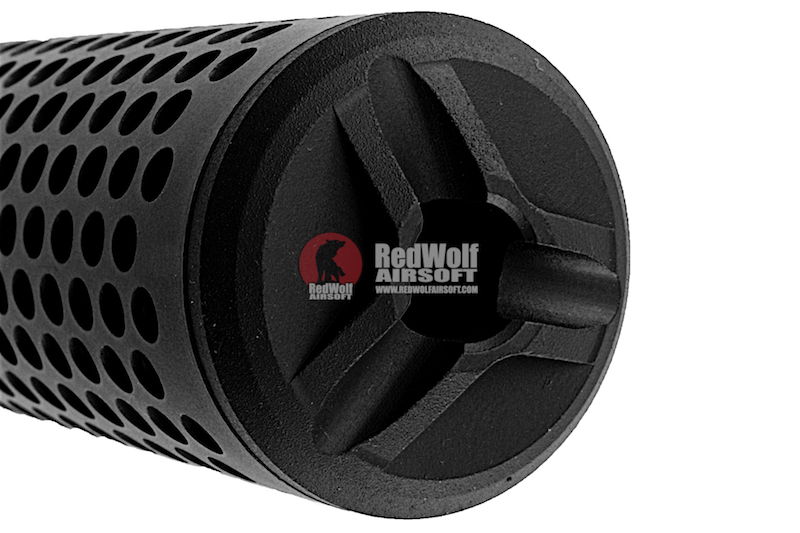 The silencer is designed to fit directly over the flash hider of the said guns using a QD method. 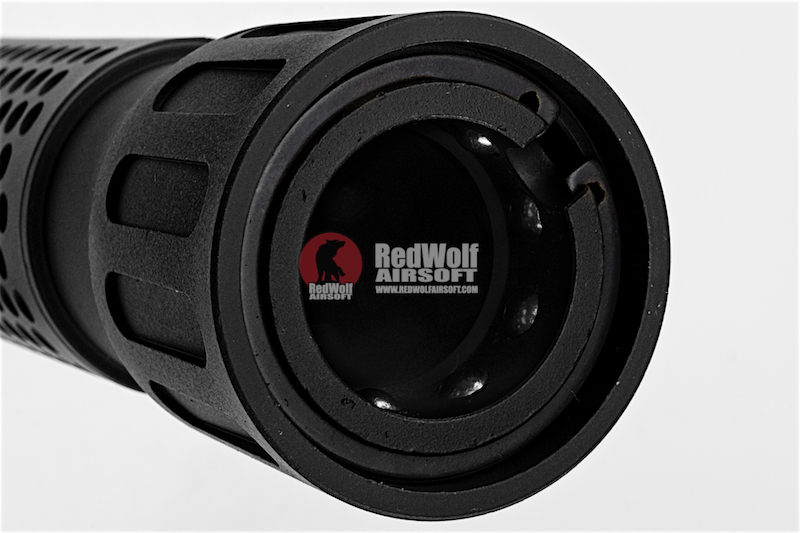 You simply lift the bottom locking mechanism, fit it over the flash hider, and release. 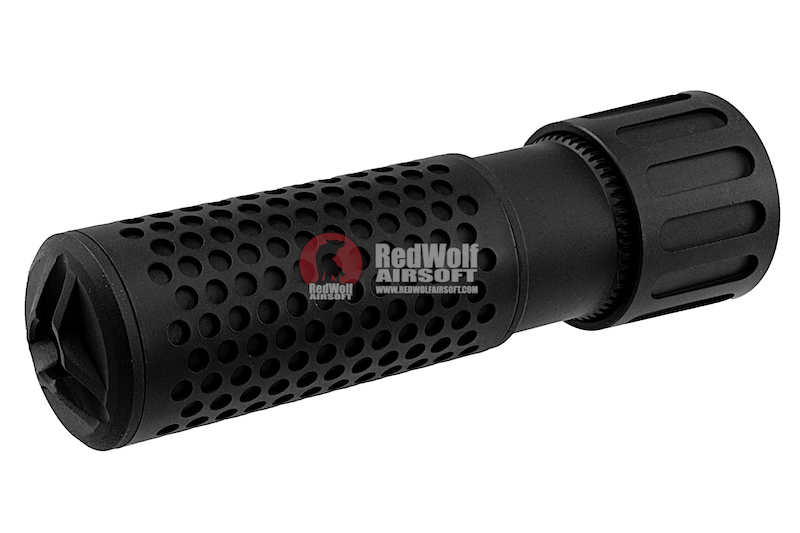 The silencer also features a hard front to handed impact.